I’ve never understood the concept of adding “gate” to the end of a controversy. I get that it came from the Watergate scandal, Nixon, the cover-up, all that, but why “gate”? The original controversy had nothing to do with water, it wasn’t like it was an H2O conspiracy, like it was water-gate, so now you just replace “water” with whatever the current problem is. It’s just a place, an office complex, so it would make much more sense to say that someone is “Watergating”, not that someone was embroiled in Fishgate cause they’re hiding the fact that they killed all the fish. It’s as ridiculous as calling someone Sir Coughs-alot as a play on the Arthurian knight. That’s not what his name meant, and it’s not even spelled that way. So I hesitate to even give a platform to the term Deflategate because I think it’s moronic to use a term like that, but hey it’s a hashtag, what can I do. I’ll assume you know what Deflategate is, but here’s a brief summary. In January of this year the Patriots played the Colts in an NFL playoff game. At halftime, the Patriots’ balls were noted to be underinflated, a violation of league rules. They were reinflated to specifications, the game continued, and the Patriots won the game by a landslide. 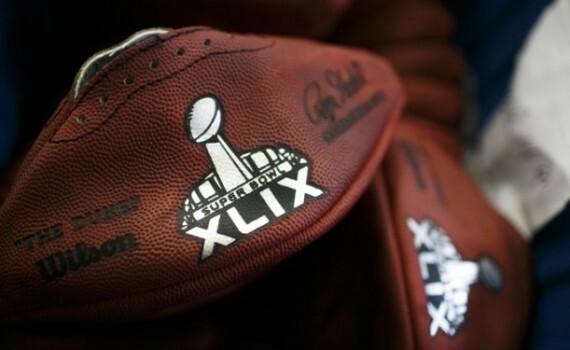 In the days leading up to the Super Bowl, the Patriots, especially quarterback Tom Brady, coach Bill Belichick, and owner Robert Kraft, were questioned about the balls and denied any wrongdoing. In later months, an investigation was led, and it was determined that the Patriots most likely knew about the tampering, although it couldn’t be proved without a shadow of a doubt. Tom Brady will be suspended for 4 games this season, the Patriots organization fined 1 million dollars, and the team stripped of 2 upcoming draft picks. Although the team may not, Tom Brady is expected to appeal the ruling. Of course this has been a major story in sports news, with ESPN covering it relentlessly and all the radio show hosts making it their #1 topic. And rightly so; it’s a controversy involving the Super Bowl winners, a modern “America’s Team”, and one of the greatest quarterbacks of all time. His legacy has come into question, so have his Super Bowl wins, and people are questioning his denial of the original story. It seems that America is split down the middle, with many wanting a very stiff punishment, while many more want no punishment at all. His guilt wasn’t proven exactly, though most think he did something slightly against the rules, but even then it’s unclear how much of an advantage he gained or how egregious his tampering actually was compared with other incidents throughout the history of the NFL. There is every variety of opinion out there; just log on to Twitter and search for “Deflategate”. You’ll find any number of ideas: Patriots fans saying that Brady did nothing wrong, NFL purists saying that he should be suspended for a year, veterans outlining how other players cheated much worse, activists stating that this penalty seems harsher than those doled out to convicted domestic abusers. I won’t waste your time with any more defense of a number of games he should or should not be suspended, instead I’ll say this; what we think doesn’t matter. The NFL does what it wants. It’s not a government organization, it’s a company whose goal is to make money. It can suspend anyone, fine anyone, place anyone in any sort of treatment program, as long as those players who fall afoul of the rules are NFL employees. Yes there’s a player’s association who fight on behalf of the players for fair treatment and fair money, and often they appeal punishments, but there’s only so much they can do. The NFLPA exists as a watchdog organization, a union for the workers, they don’t control the company. So the NFL can decide what to do in every case. Ray Rice originally gets two games for abuse, marijuana users get progressively more games suspended with each infraction, Tom Brady receives a four-game ban. You may not agree with the number or the punishment, but the NFL could not possibly care less. But why such a punishment for taking a little air out of a few balls? Because Brady embarrassed the league. No, what he did wasn’t incredibly serious, not as serious as domestic violence, not as serious as drug use, but he may end up being punished more than others who committed more terrible crimes. Why? Because he embarrassed the NFL. He broke a rule (probably), denied it (brazenly), caused an incredibly amount of negative attention to be turned to the league because of his team & his status, and ultimately was found “guilty”. It looks bad that one of the league’s brightest stars might have cheated, might have lied, definitely did blacken the already gray image of the NFL right before their greatest game. He’s being punished for whatever his role was in whatever happened, the details don’t really even matter, and neither does how his suspension & his team’s fines compare to others that have come before. We can say that this ruling is ridiculous, that a bit of lost air is no big deal. We can say that this was a serious crime, that Brady & the Pats got off easy. We can criticize the NFL for the way they handle punishments and claim that there’s no fairness in their decisions. But in the end it doesn’t matter what we think. We’ll still watch the games, we’ll still buy the merchandise, and all the NFL cares about is their money & their reputation. You mess with either of those, and you’ll get the horns; Goodell has shown that if nothing else. Why else was Rice punished harsher after his video surfaced? Because now he’s making his employers look bad, and that means a great deal to them. They could have banished him for life on the spot and there would have been very little that anyone could have done. Appeal and arbitration are options, sure, and Tom Brady will most likely make use of them. But ultimately the NFL will do what they want, they’ll protect themselves as much as possible, we’ll complain when something happens that we don’t agree with 100%, and the league will go on not caring.